Apple Music has been relatively successful since it's launch and has gathered millions of subscribers, but that doesn't mean it has been free from criticism. Many have said the app is confusing and difficult to use, criticisms that Apple tends to take to heart. However, in the app's first year of existence, Apple has focused on pushing bug fixes rather than features and improvements. But, word has it that is about to change with a major overhaul of Apple Music planed for release at WWDC in June, though that release is expected to be a beta. According to reports, Apple is trying to make the app "more intuitive" with a new interface and simplification and reorganization of existing features, while also adding new features to the mix. This would mean album art is highlighted while the overall UI will feature more black and white backgrounds, instead of matching the background color to the album art, and will feature Apple's new San Francisco font. A big part of the redesign and reorganization is allegedly planned for the "For You" section with a simplified UI and new algorithms for better recommendations. As far as new features, Apple is reportedly adding 3D Touch support for previews and sharing songs, and may be adding support for song lyrics. 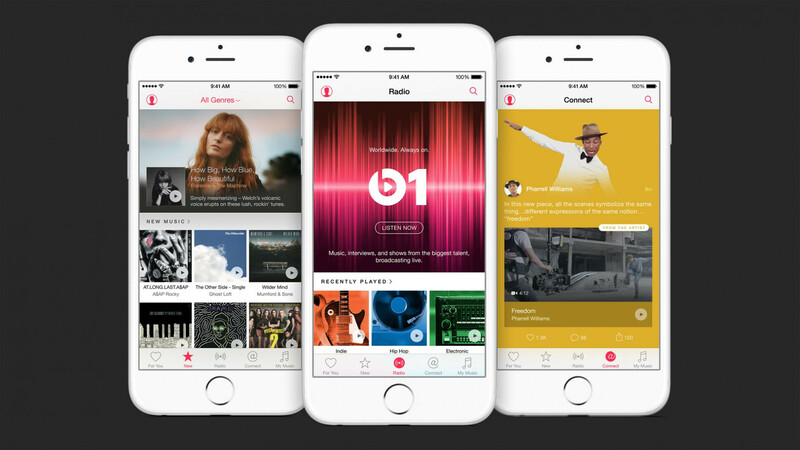 The overhauled Apple Music is expected to be released in beta at WWDC with the full version on the way as part of iOS 10 in the fall. No word yet on the plans for updating the Android version of Apple Music. Never used apple music, probably never will, but I do use iTunes match. Apple should now focus more on hardware changes than just plain UI and algorithm changes in particular apps, but again, if they can do both at once is always better. Oh wow, a font change, that is revolutionary. Classic Apple move, always focus on the things that matter. Released in beta at WWDC... Innovative feature of iOS 10. If they could update the Android app and make it more battery efficient, it'd be great.